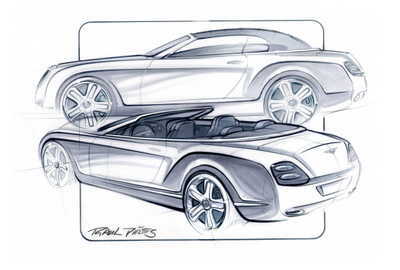 Following on closely from the first deliveries to customers of its new Azure, Bentley Motors has now commenced production of the Continental GTC – an unprecedented introduction of two all-new convertibles in a single year. The GTC is the third member of Bentley’s Continental family, and joins the Continental GT coupé and Continental Flying Spur four-door; in common with these models, the GTC will come from the state of the art production facilities in Crewe, Cheshire. Customer deliveries of the GTC, which will commence in the UK this month, mark the conclusion of the launch phase for the Continental family. This phase required the support of a number of temporary production associates to provide manning flexibility and these contracts will end in December 2006. Bentley Motors also confirms that, from the end of the year, all Bentley models will once again be manufactured in Crewe. To accommodate customer demand during the launch phase, the final assembly of a small proportion of Continental Flying Spurs has been undertaken at the premier Volkswagen Group manufacturing facility in Dresden, Germany. This will come to an end as planned in December 2006. “I would like to recognise the contribution of our colleagues in Dresden and of our temporary associates in Crewe, over the last eighteen months,” said Dr. Franz-Josef Paefgen, Chairman & Chief Executive. “At a time of such frenetic launch activity, they have allowed us to meet the considerable demand for all Bentley models without giving rise to excessive delays for our customers." Around Australia for Under $1,000!